If you want to save lives and help people in need, become a police officer. Police officers have taken an oath to uphold law and make the society a safer place to live in. From catching bad guys to responding to emergency situations, the career can be challenging, yet rewarding. Are you ready to protect others? Are you ready to use force to protect others and yourself? Can you handle the emotional and physical stress that comes with job? Are you ready to tackle dangerous situations that may possibly be life threatening? According to another set of data published by O*NET OnLine in 2015, police officers in Washington earned a median annual income of $74,950. The job growth in this field in Washington is expected to take place at the rate of 11% from 2014 to 2024. Age – Applicants must be at least 20.5 years old at the time of application. Education – Applicants must have a high school diploma or GED certification. Military Record (If applicable) – Applicants who have served in the military must provide proof of an honorable discharge. Driver’s License – Applicants must have a valid driver’s license issued by the Washington state. The written exam is designed to test an applicant’s general knowledge. The exam typically comprises of multiple choice questions. Other areas tested in the exam include: grammar, reading comprehension, and spelling. All applicants must complete a 300 meter run, maximum number of push-ups in a limited time period, sit-ups, and a 1.5 mile run. All credit and information history forms must be notarized. In this exam, candidates will be asked to answer a series of questions. In most cases, sworn police officers and authorized community members conduct the oral examination. Background investigators are assigned to candidates who perform a background check. Background investigations are an important part of the screening process. This is also known as a lie-detector test and is used in many other law enforcement agencies as well. The test will detect abnormal variations in blood pressure, body motion, heart rate, etc. These variations can depict the level of truth and honesty. A psychological exam is conducted to asses a candidate’s mental and emotional stability, neurological functioning, reasoning skills, and personality traits. Medical exams are a necessary part of the hiring process. Applicants will be tested for various medical conditions and disorders. Any applicant that suffers from a medical disorder that can affect his or her performance on the job will be disqualified. Alongside field training, applicants will also participate in classroom lectures where they will cover important topics relevant to law and order, criminal justice systems, administration, etc. The need for police officers will always remain in a society. With a steady demand and growth rate, becoming a police officer can be a suitable choice. 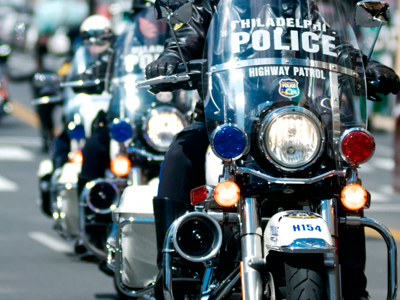 According to BLS, police officers in Washington made a mean annual wage of $70,640 in 2013. Many individuals pursue career in this field due to the many opportunities for promotion. Police officers can move up the ladder and apply for detective positions after acquiring sufficient work experience. Health insurance, employment pension, and other benefits may also come with the job. Q: What is the hiring process for those wishing to become police officers in Washington? Ans: Once a candidate has submitted their application form, the hiring process begins. This process is quite lengthy and can take a considerable amount of time. Candidates will be required to pass a written exam, successfully clear a physical fitness test, fill out a personal history form, pass an oral exam, and clear a background check. For more details about what these individual steps might entail, please refer to the police department’s website. Q: What does training at the police academy typically entail? Ans: Formal training at a police academy is the last phase of the hiring process. This can take anywhere between 4 to 5 months depending on the city in which you have applied. During training at the police academy, candidates will be taught how to properly use firearms, maneuver police vehicles, follow law enforcement protocol, and use defensive techniques. This is followed by field work with a senior officer.